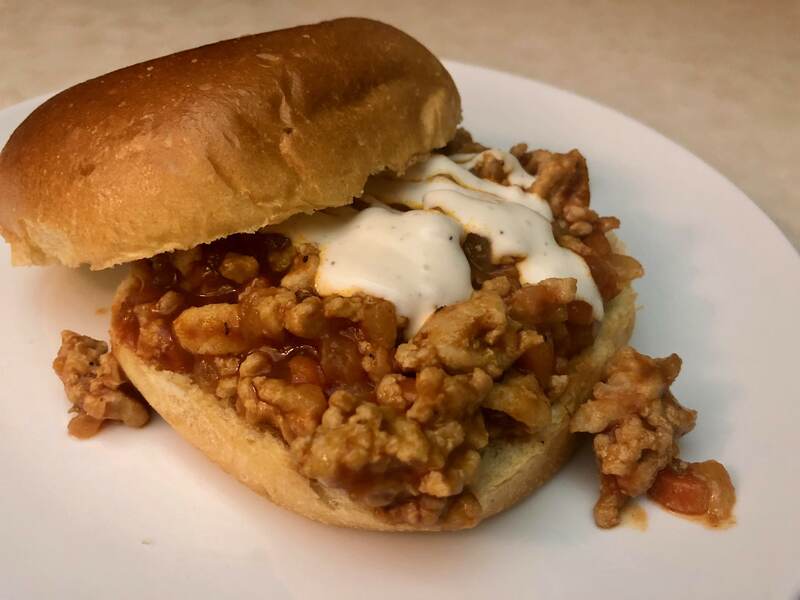 When was the last time you ate a Sloppy Joe? It’s not a common meal in my house but there is something about a Sloppy Joe that reminds me of family dinners as a child. 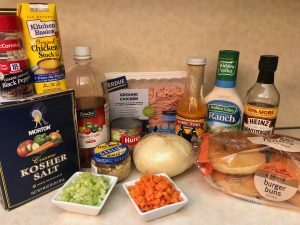 I wanted to create a new version of a Sloppy Joe that combines another favorite food of ours – buffalo chicken. The result was a Buffalo Chicken Sloppy Joe. It was amazing! 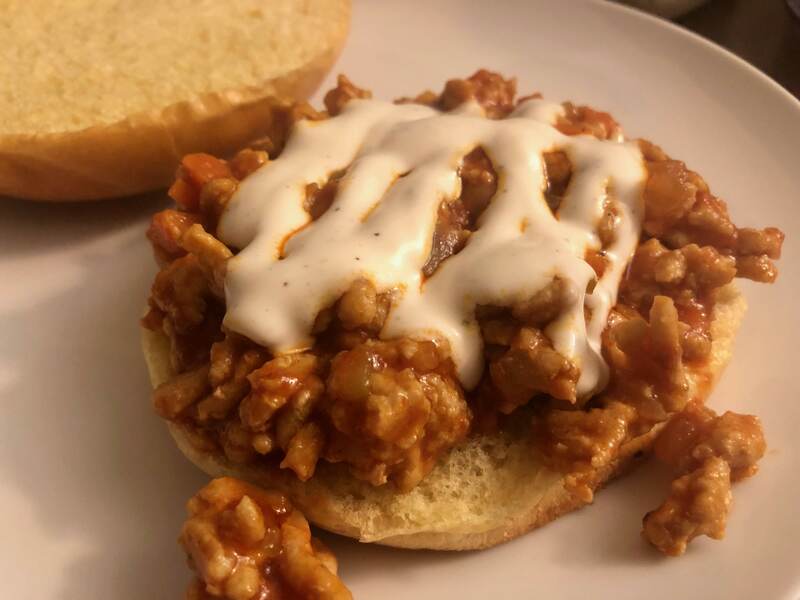 These Buffalo Chicken Sloppy Joe’s have enough heat without being too spicy and veggies hidden within the meat that add great flavor. I recommend drizzling some ranch or blue cheese dressing on top to offset the heat. 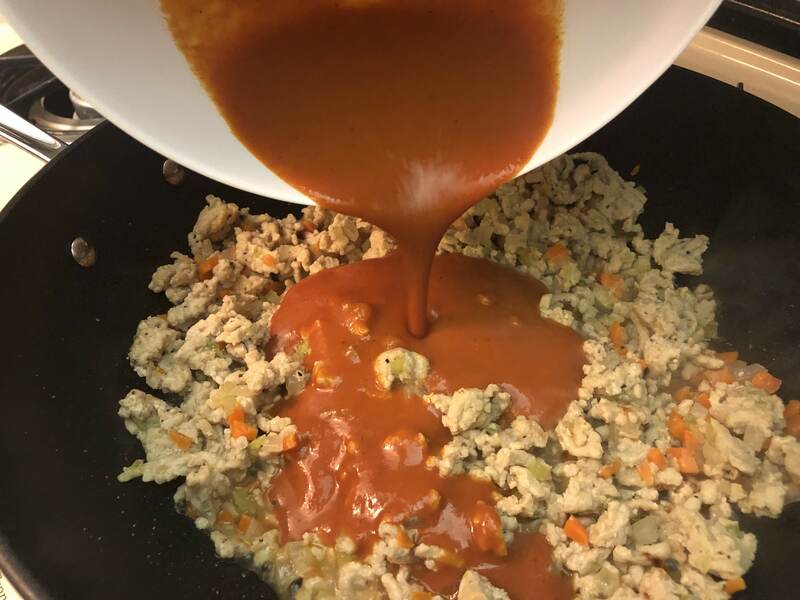 And because who can enjoy buffalo sauce without ranch or blue cheese? 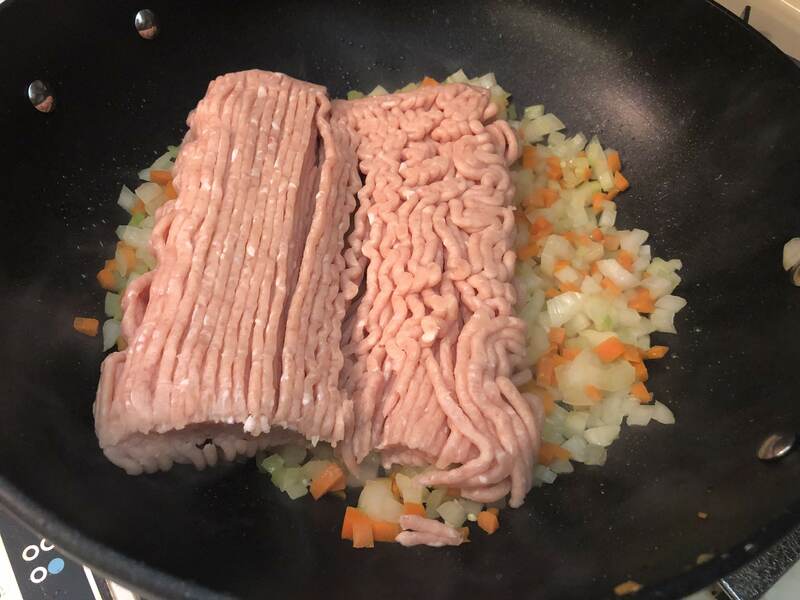 It really completes the sandwich! Let’s get cooking! Start by doing all the prep work. 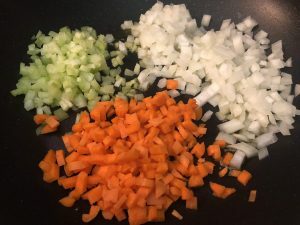 I like to chop my veggies, measure out my dry and liquid ingredients, and set them aside in bowls so when it comes time to add the ingredient to the skillet they are ready to go. Heat oil in a large skillet over medium heat. 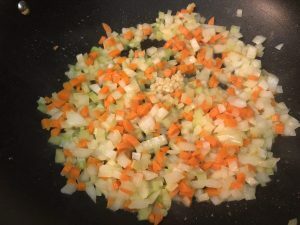 Add the onion, carrots, and celery, and sauté until softened. Then add the garlic and sauté for another minute or so. 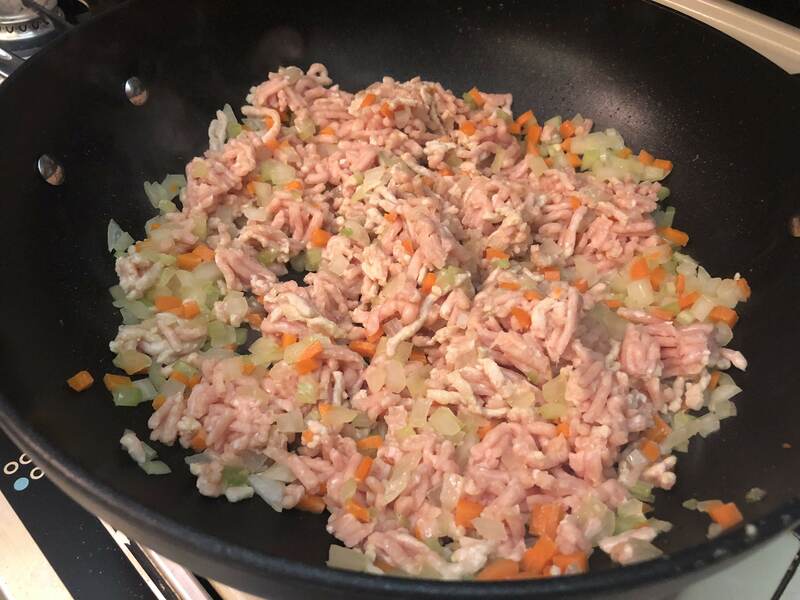 Next add the ground chicken, season with salt and pepper, and heat until cooked through. 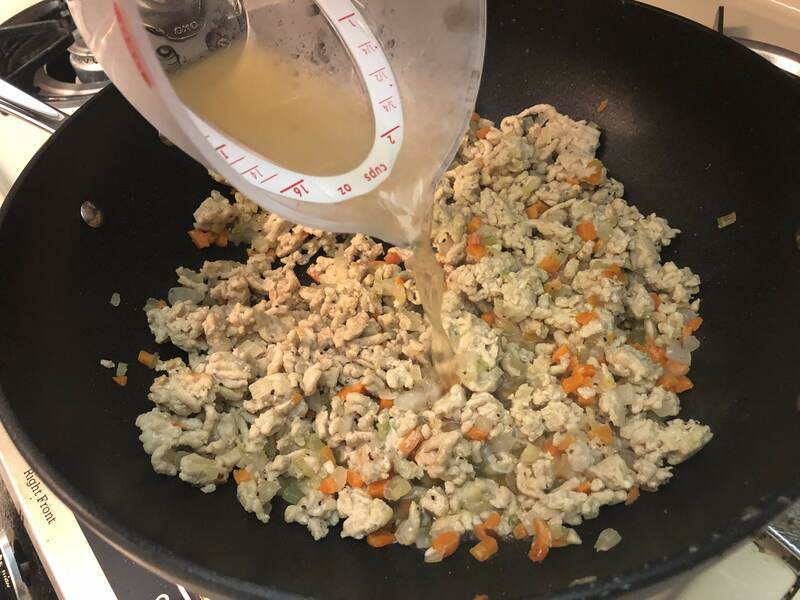 Pour the chicken broth/stock to the skillet and stir to combine. Pour the sauce you pre-mixed into the pan (tomato sauce, wing sauce, Worcestershire, and apple cider vinegar). Mix until everything is well combined, and the meat/veggies are coated. 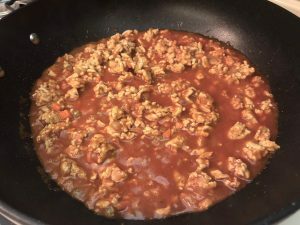 Reduce the heat to low and simmer for about 5 minutes to allow the sauce to warm and thicken. 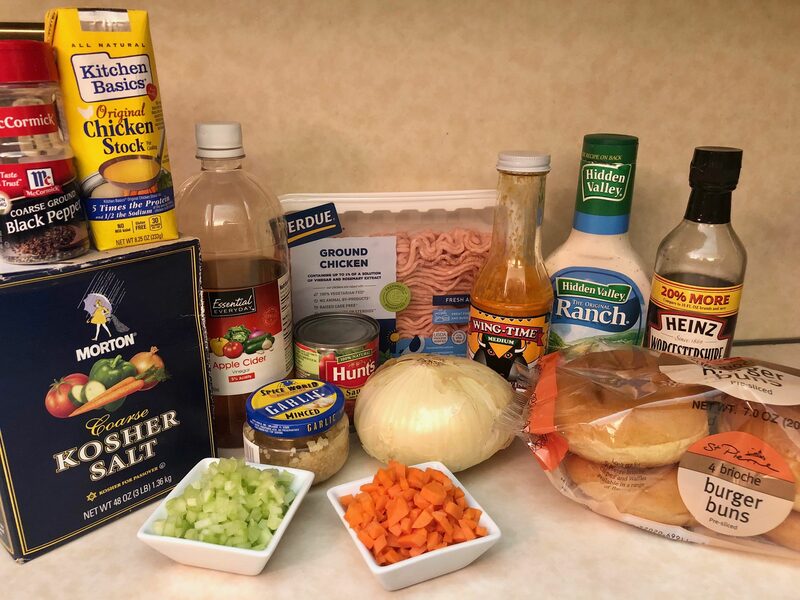 Serve on hamburger buns topped with ranch or blue cheese dressing. 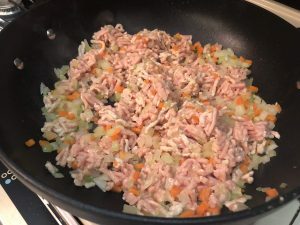 This entry was posted in 4th of July, Labor Day Weekend, Memorial Day Weekend, Party, Poultry, Super Bowl, Uncategorized and tagged Buffalo Chicken, Chicken Sloppy Joe, sandwich, Sloppy Joe. Bookmark the permalink.